The secret to soldering is good preparation. It’s important to use high quality solder and an appropriate soldering iron. It’s also a lot easier if you have the job held securely – this is where a jig like this one comes in. It’s made of carbon fibre and features a spring loaded clamping mechanism, which provides a firm hold but also makes it quick to use. It has been cleverly designed to hold anything from silicone wire to battery connectors. It features 2 vertical post pairs, spaced 25mm apart to clamp wires in place. 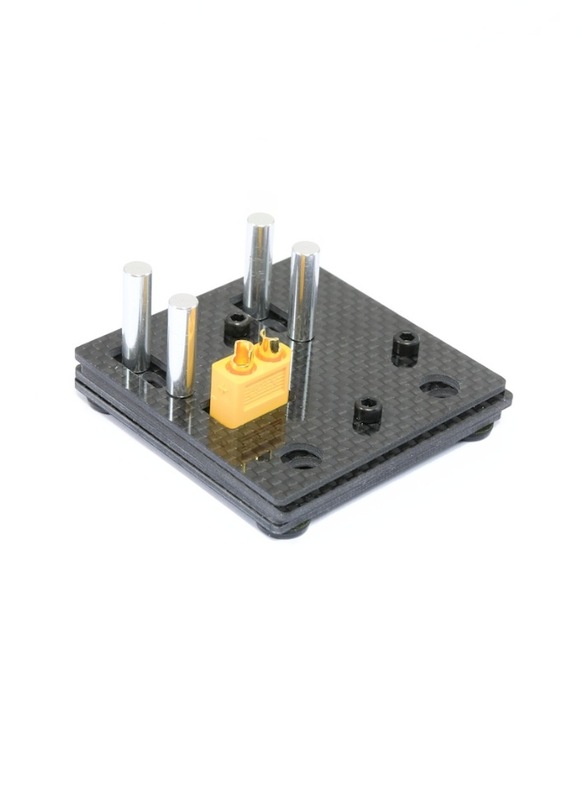 It also has a rectangular self-clamping slot, which allows the jig to firmly hold male or female, XT60 or Dean type connectors in place. 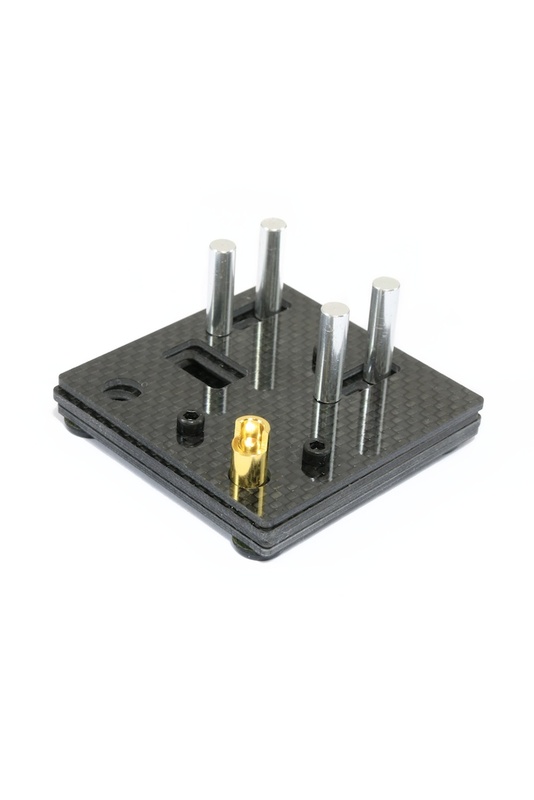 Finally there is a pair of round holes to suit bullet connectors, making soldering ESC’s or battery connectors quick and easy. Caution: Carbon conducts electricity – Never place 2 plugs from the same battery pack in the jig simultaneously.